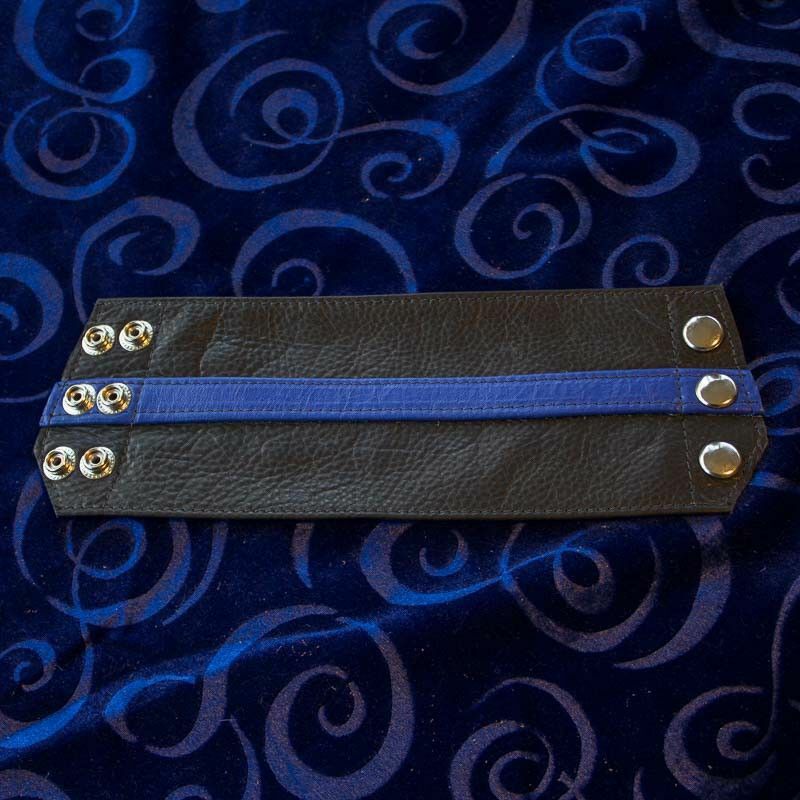 The strap of blue leather on this wrist wallet says everything. Useful, and very desirable. Keep the things you care about close. These wallets put your back pocket on your wrist. Sized to fit a standard ID across the top of your wrist.